Never worn examples from any period are always a special find for the serious collector. 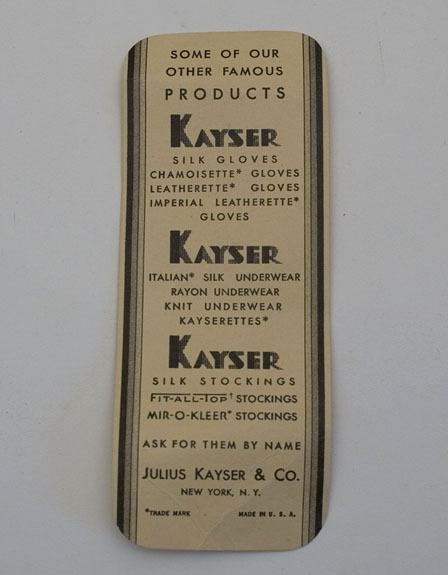 These fabulous silk knit gloves from Kayser come with the original advertising insert. 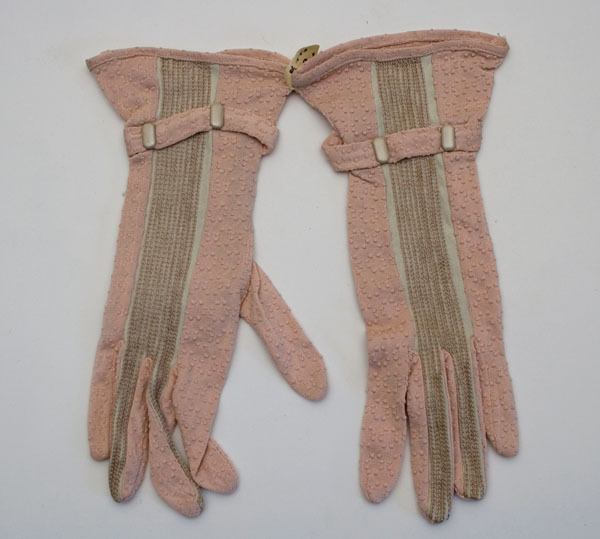 The gloves, which have raised dots in the knit, have a dotted Swiss effect. 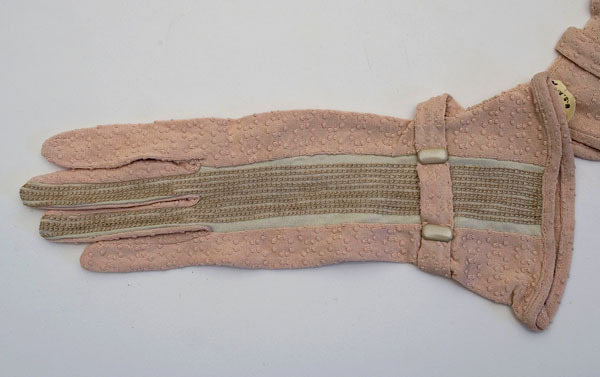 They are elasticized at the back wrist, emphasizing the shapely cuff and decorative front band. The condition is excellent. The gloves have never been worn.